Editor’s note: Dawit Giorgis is a visiting fellow at the Foundation for Defense of Democracies. The views expressed are the writer’s own. As Washington has assessed the implications of Iranian threats to close the Strait of Hormuz, the world’s most critical energy chokepoint, a crisis has loomed in another critical maritime energy corridor: the Gulf of Guinea. The strategic importance of West Africa’s Gulf of Guinea – the stretch of coastline spanning from Gabon to Liberia that includes 15 states which have huge economic importance to the United States and the West – is hard to overstate. For one, the U.S. is expected to import a quarter of its oil from the Gulf of Guinea nations by 2015. Indeed, 70 percent of Africa’s oil production comes from the Gulf of Guinea. And with the recent discovery of offshore hydrocarbon deposits, these numbers are only going to rise. And yet this crucial naval passage has witnessed an alarming spike in piracy and maritime crime in recent years that rivals the Horn of Africa. Last year, the International Maritime Bureau attributed only 75 attacks to pirates operating in Somalia and the Gulf of Aden, down from 237 in 2011. In the Gulf of Guinea, in contrast, piracy is on the rise, with 58 incidents recorded in 2012. 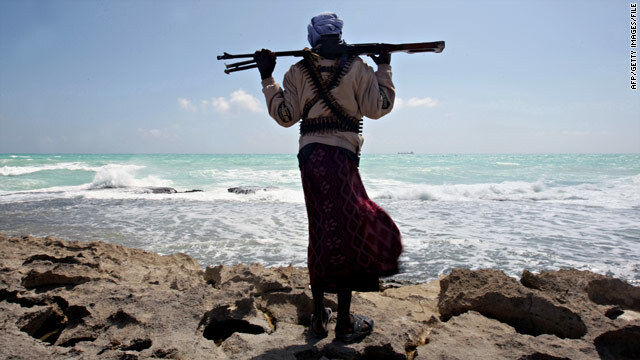 The IMB has raised the alarm that the Gulf will overtake the Horn of Africa as the world’s top piracy hotspot. The problem is that almost all the coastal states lack the capacity to handle the problem, and regional organizations have proven ineffective. The Gulf of Guinea is now a key route for arms and drug smuggling to Northern and Western Africa. There have been reports that terrorist groups like Boko Haram of Nigeria, al Qaeda in the Islamic Maghreb (AQIM), al Shabab of Somalia, and elements of the Iranian regime have used this area for arms trafficking. It should therefore come as little surprise that one of the primary projects of the U.S. Africa Command (AFRICOM) is troop training in the Gulf of Guinea. But militancy is not entirely to blame. The problem is a direct consequence of corruption, poverty, and exclusionary policies practiced by most of the governments along the Gulf of Guinea. The U.S military plans to permanently station 3,000 troops in Africa this year, but no amount of military assistance from AFRICOM will bring stability unless these critical problems are addressed. To date, world powers have done little to combat the problems in the Gulf of Guinea. One reason could be the sheer expense. Efforts to combat piracy on the other side of the African continent in 2011 involved anywhere between 10 and 16 military vessels deployed on any given day in the Gulf of Aden and Indian Ocean. Patrolling over four million square miles was an exceptionally difficult challenge, yet the Gulf of Guinea is even larger. However, this kind of resource allocation may not even be necessary. Early intervention could still head off a full-blown crisis in this relatively obscure maritime passage. Failure to intervene, in contrast, could place this key region in international headlines – for all the wrong reasons. I find it interesting the kinds of stories Fareed covers on Africa. They are either irrelevant or negative. There are success stories in Africa and it would be good for such a self proclaimed global forum to seize the old stereotypes. Has anyone heard about the small west African country called Ghana? Did you know they have carried out successful democratic governance for 2 decades? Did you know they are one of the fastest economies? Hey look!! It's another Towel Head in a dress ready to kill people in the name of Allah. How nice. Hahahahahahhhaah. Can't unarmed drones be deployed for surveillance in the region? Some pirates might have captured vessels and cargo for a ransom. Where are they taken? There's no "Somalia" on the west coast of Africa.